It’s opening day of the Major League Baseball season with the Yankees to host the Tigers at 1pm in one of six scheduled games. However that one and several of the others could be impacted by the weather with the Yankee Stadium forecast calling for a 50% chance of rain and temperatures in the low 40’s at game time. The Mets open their season Friday night in Miami against the Marlins while the Phillies season and home opener is set for 1pm tomorrow. You do have to wonder why baseball does not make a greater attempt to stay away from season openers in the mid-west and northeast when the weather is often miserable for the first week or two of the season. The Brick Memorial Football Alumni Club is hosting an “alumni social” on Saturday, April 9th at the Knights of Columbus on Cedar Bridge Road beginning at 4pm. Organizers are seeking to reach former Mustang players, coaches and supporters for this first-time gathering to celebrate the program’s success and renew friendships. For information you can contact Paul Walski at Veterans Memorial Middle School or head coach Walt Currie. and put fannies in the seats at the 4,000 seat MAC. 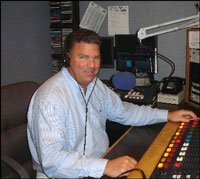 Over the past couple of weeks you might have heard commercials running on this radio station for a last night’s Hometown Heroes Awards Gala at the Grenville Hotel and Restaurant in Bay Head, an event in which I served as Master of Ceremonies. Before last night I really did not know much about this grass-roots organization which was started about 2 ½ years ago by Michael Schwartz and Dawn DiStefano. What I can now tell you is the name is quite appropriate and in just a short time Hometown Heroes has made a significant impact on the lives of individuals and families in the shore area. Basically what they do is help those in need, often with little or no time to find a solution to a problem that at the time appears overwhelming. Those on the Board of Directors are often the ones to help or they may use their own network to provide families with financial assistance, counseling and advocacy when all other means have been exhausted. The five individuals honored last night own or manage their own companies and when they were called on by Schwartz, who is the Executive Director they came through when needed the most. Whether it was providing housing and work for a single Mom, picking up the cost of a funeral, taking care of an elderly woman who did not have heat in her home or giving the organization itself office space these five individuals truly are deserving of being called “Hometown Heroes.” What was obvious to me was that while they were appreciative of last night’s recognition none of them were really comfortable for being singled out because they universally believe that giving back to others is what we should all strive to do. Mike Little, manager of Crossroads Realty…Jennifer Strueber, the CFO of Blue Ridge Heating & Cooling in Pine Beach and Bill White, owner of the White Pearl Hotel in Seaside Heights and Murph Construction. Schwartz also paid special recognition to Millennium Radio Vice President Wendy Wesley who is a member of the Board of Directors and helped organize last night’s dinner at the Grenville. Adding to the evening were the comments of Chris Bennett, a former high school and college track star who now teaches and coaches at his alma mater, Christian Brothers Academy. Former North Carolina point guard and current Vanderbilt assistant is the choice to replace Dave Calloway, who reluctantly stepped down after 14 seasons last month. The 41 year old Rice was the starting point guard on Dean Smith’s 1991 Tar Heels team that went to the Final Four and was an assistant at Oregon, Illinois State and Providence before coming to Vanderbilt before the 2006 season. Reportedly Rice is in the shore area and expected to meet with Monmouth Athletic Director Marilyn McNeil today when she returns from the NCAA Women’s Tournament in Spokane, Washington. The other day a friend of mine was teasing me about what I would say after he died because it seems like fairly often I mention deaths of people I know during this segment. I kidded him that he was not important enough to get air time and what made him think he would go before me anyway. Truthfully it does seem like lately I have been attending a lot of viewings and funerals and what’s heartbreaking is that most have been for people who have died way too young. The latest is Dave Hardie, a 1975 graduate of Central Regional High School who I just saw very recently at a viewing for another former schoolmate. Dave spent his career as a member of the Berkeley Township Police Department and retired a Captain in 2003 after 25 years on the job. He then pursued a passion in his second career as a Boat Captain and for the past several summers I would see him at Martell’s Waters Edge in Bayville where he would shuttle customers back and forth to their boats. Just 54 years old, Dave leaves his wife Theresa and daughters Rachel and Meredith plus many other family members and friends. He also leaves the Morning Star Presbyterian Church of Bayville where he was not only a member but a devoted part of their Food Pantry as he helped many who were less fortunate. It is at that church today from 3-8pm where I and others will pay their final respects a good man who did a lot of good with the time he had here. In what has arguably been the wackiest and most unpredictable NCAA Men’s Basketball Tournament ever the Final Four matchups for next weekend are set and surprising. In the second National Semifinal Saturday in Houston, Connecticut will face Kentucky and certainly they are two marquis programs with great history although neither seemed to be a serious National Championship contender earlier in the month. Some might forget that U.Conn was the 9th seeded team in the Big East Tournament just three weeks ago and Kentucky needed a last-second basket to beat Princeton in the opening round of the tournament. Of course the other semifinal game is one nobody could have predicted as Butler will meet Virginia Commonwealth, who Sunday knocked off the last remaining #1 seed…Kansas. Butler making it to the Final Four for the second straight year would be the story of the tournament if not for VCU, who barely got into the field and had to play one of those “First Four” games just to get into the main draw. But the Rams have knocked off USC, Georgetown, Purdue, Florida State and Kansas to become the real Cinderella of this year. By the way if you are a Yankees fan you have to be rooting for Kentucky to win it all because it will likely mean a World Series celebration this season. When the Wildcats won National Titles in 1949, 1951, 1958, 1978, 1996 & 1998 the Yankees claimed World Series titles that same fall. Great piece on legendary St. Anthony of Jersey City High School Basketball coach Bob Hurley last night on “60 minutes.” I met Coach Hurley in the late 80’s when he not only agreed to be a guest on a sports show I used to do but drove to the radio station for the one-hour appearance. He also brought three of his players at that time….son Bobby, Terry Dehere & Jerry Walker who would all go on to be college stars. I am sure there are many who downplay Hurley’s achievements at the tiny parochial school because of all the talent he’s had but if you saw the “60 minutes” piece you would probably come away feeling differently about the 63-year old Hall of Fame coach. Including Darius Griffin, Dean & Milton Matthews, Robert Mayer, John Marshall, Tony Sepp and David Sauls. For tickets and more information you can contact Athletic Trainer Pat Halpin at the high school by calling (732) 905-3537. There are also details on the high school website. worth of tickets brought us back total winnings of just $5 which broke down to getting 31 cents back for your $10 share. However the good news was there was no grand prize winner in the multi-state lottery and there has not been once since February 1st. Tonight’s jackpot is the sixth biggest in Mega Millions history and if there is no winner the pot is expected to reach about $390 million for next Tuesday. Here is something that is not a dream but a reality. Blood supplies in New Jersey are very low after such a rough winter and lodges of the 20th Masonic District are sponsoring a “Give the Gift of Life Blood Drive” tomorrow at the Masonic Lodge on Route 37 West just across the road from Community Medical Center. The blood drive will be held from 9am-12:30pm and donors must be at least 120 pounds and 17 years of age or older or 16 with parental consent. You can schedule an appointment by calling the Central Jersey Blood Center at (732) 842-5750 but walk-ins are welcome. It’s hard to imagine based on the weather today but the Lakewood BlueClaws open their 11th season two weeks from tonight when they host Kannapolis at FirstEnergy Park. Fans can get a jump start on seeing this year’s edition of the BlueClaws two days earlier on Tuesday, April 5th when they play Monmouth University in an exhibition game. First pitch will be 6pm and general admission tickets will be just $5 for what will be a 7-inning game. The BlueClaws roster will be announced shortly as Phillies minor leaguers continue spring training in Clearwater. Monmouth’s season is well underway and the Hawks are 7-8 following a loss at Temple yesterday. Based on sales of jerseys Yankees shortstop Derek Jeter is the most popular major league baseball player. For the first time ever Major League Baseball has released a list of the 20 best-selling jerseys and last season Jeter’s #2 Yankees top was #1 with fans. Twins catcher Joe Maurer was second followed by a trio of Phillies…Roy Halladay, Chase Utley and Cliff Lee who actually played for the Mariners & Rangers last season. The Yankees Alex Rodriguez and Mark Teixeira were 9th and 11th with the Phillies Ryan Howard #18. When it came to team sales the Yankees were clearly #1 followed by the Red Sox, Dodgers and Phillies. Toms River High School North will have a new boy’s basketball coach next winter as Chris Kane has told me he will not be back as coach of the Mariners. North was a disappointing 7-15 this past season which was Kane’s third and he has decided to step down for his own reasons. Some of the shore’s top players will take the court for a final time as representatives of their schools tomorrow night at Brookdale Community College. The Shore Basketball Coaches Association Senior All-Star Games move to Brookdale’s Collins Arena from Freehold Township High School. The Girls game is at 6pm with the Boys to follow at 8pm. For years I have been suggesting that the summer All-Star Football game now known as the US Army All-Shore Gridiron Classic be held on a Thursday night to avoid the dreadful Friday traffic conditions. Finally someone has listened as Lacey’s Lou Vircillo who serves as director of the game has announced it will be held on Thursday, July 14 at Toms River High School North. Anytime you have a discussion about what is the best of something you are sure to get varying opinions. Over the years there have been many lists, surveys and polls on the best movies of all time and the latest comes courtesy of ABC News and People Magazine who compiled results from a recent online poll which received more than 500,000 votes. Selected as the Greatest Movie of All-Time was the 1939 classic “Gone with the Wind” starring Clark Gable. “The Wizard of Oz” which ironically was released in the same year was second followed by “The Godfather”, “Casablanca” and “E.T. : The Extra-Terrestrial” which seems to be the odd man out in this group. Like anything else the entire list is subject to debate. A few years ago The American Film Institute came out with their list of the 100 greatest movies of all time and topping it was Citizen Kane followed by The Godfather, Casablanca, Raging Bull and Singin’ in the Rain. Gone with the Wind was sixth. My own personal list would be topped by The Godfather and somewhere in the top five would be The Graduate, The Shawshank Redemption, Mr. Smith Goes to Washington, On the Waterfront and of course Animal House. Doesn’t it seem that we get excited about the arrival of spring only to be disappointed that over the next month or so there will be plenty of days that will remind us more of winter? The Mets had to release Luis Castillo and Oliver Perez and swallow $18 million in salary for two players that won’t be wearing their uniform this season. The contracts of those two are among the worst in club history ranking right there with Bobby Bonilla, Vince Coleman and Kaz Matsui. Every Met fans worst nightmare is Castillo or Perez will go somewhere else and perform like All Stars. A day after he hit a 3-run homer Todd Frazier was among 8 players who the Cincinnati Reds re-assigned to their minor league camp. The former Toms River South standout is expected to start the season with the Reds triple-A team in Louisville, Kentucky. The 25-year old Frazier saw action as both an outfielder and infielder in Arizona and in 29 at-bats hit .241 with two homers and 5 RBI’s. I am fascinated by some of the shows on the Food Network but none more than “Chopped” which features four chefs competing against one another making appetizers, entrees and desserts with ingredients that simply don’t belong. Somehow though they make it work under incredible time pressure and watching it can be draining and exhilarating at the same time. Isn’t it amazing how our mind works when it comes to gas prices? An increase of a few cents a gallon makes us moan and groan while a decrease is reason to celebrate. Plus we always quote the price without rounding off the nine-tenths at the end to what should be the higher number. If it’s $329.9 per gallon it’s really $3.30 but we’ll say $3.29. Congratulations to Maureen Stankowitz who has been named the new President of the Toms River-Ocean County Chamber of Commerce after spending the last fifteen years as the Executive Director of the Lakewood Chamber of Commerce. Stankowitz replaces longtime President Lucy Greene who retired last summer. Jean Hryniw has been serving as Interim President and will stay on as part of the chamber staff. All you need to know about the NCAA Basketball Tournament is that the “Sweet 16” contains as many teams from Richmond, Virginia as the entire Big East Conference. Virginia Commonwealth and the University of Richmond are among the unlikely teams left from the original group of 68 and after starting with a record 11 teams the Big East has only Connecticut and Marquette remaining. Other surprises include Florida State and Butler while highly-regarded teams like Pittsburgh and Notre Dame have been sent home. It was a good weekend for baseball-playing brothers Todd and Jeff Frazier of Toms River. Todd belted a 3-run homer and added a single in two-at bats to help the Reds beat the Brewers Sunday, a day after older brother Jeff smacked a 3-run homer in the Nationals loss to the Mets. Todd is starting to heat up a bit after struggling most of the spring and remains in Cincinnati’s major league camp while Jeff has been sent down to Washington’s minor league camp but got a chance to play Saturday against the Mets. Former Southern Regional High School standout Frank Molinaro helped Penn State win its first NCAA Wrestling Championship since 1953 this weekend in Philadelphia. Molinaro was one of three Nittany Lions to make it to the finals in his weight class, where he had to settle for a second place finish at 149 pounds. A redshirt junior, he will be back next winter to aim for a national championship. Toms River lost an icon last week with the death of Jack Steigerwald just a few days after his 87th birthday. He was best known as the founder of Seaside Furniture Shop which he started in 1953 and he ran for 57 years before officially retiring last spring. Jack was a longtime parishioner and trustee of St. Joseph’s Church and was honored by their Century Club for his devotion to the church and its schools. He was most proud of his family as he leaves behind his wife Marion, daughter Peggy and sons John and Tommy along with 7 grandchildren and one great grandchild to reunite with his first wife Margaret and daughter Nancy. Friends and family will gather today at Anderson & Campbell on Main Street in Toms River to say goodbye to a man of faith, humor, love and compassion. About three and a half years ago a friend of mine Dave Larsen died suddenly and a short time later I was among several of his buddies who got together to toast his memory. All of us had been friends from our days at Ocean County College but only Joe Perrone and I knew Dave before that as the three of us went to Central Regional High School together and also worked for my father on the boardwalk in Seaside Heights. The night when we gathered to tell “war stories” was when we officially decided to start our own “Bucket List” in which we go on an annual sports-related junket…just a bunch of guys for a few days reliving the past. The first trip was to Milwaukee and Chicago in the summer of 2008 as we saw the Brewers and Cubs play baseball and enjoyed the stadiums and cities and just being in each other’s company with plenty of laughs and good times. During that trip we decided to hold a random drawing to see who would plan the next adventure and it turned out Joe’s name was selected. Perrone would have several months to make a decision and we were all pretty happy when he chose Boston for the summer of 2009. Being that he was retired from the Howell Police Department Joe had enough time to plan the itinerary which of course would center on Fenway Park. While most of the guys in our group were Yankee fans we circled in on a July trip when the Orioles were in Boston. Joe “The Horse” was responsible for all the planning and reservations and basically just had to tell everyone where to be and how much it would cost. So imagine the reaction of our group when on the plane we learned that there was one thing he did not secure….tickets to the games. Of course Joe was convinced we would have no problem scalping tickets because the Orioles were lousy. To make a long story short we had a great time in Boston, visited many taverns, took a tour of Fenway Park and never saw a game in person. Needless to say we busted him pretty good and last year when 7 of us did a spring training trip to Tampa it was still a subject that was visited time and time again. Bottom line was Joe knew the Boston trip would haunt him the rest of his life. However little did anyone know that life would end suddenly this week at age 55. Today I and many of his friends will gather at Anderson & Campbell in Toms River to say goodbye to a man with a great sense of humor who always put a smile on your face. He leaves behind his wife and love Barbara, sons Kyle and Gabe and six brothers and sisters. He also joins his friend Dave Larsen to form a comedy duo in heaven than can rival Abbott & Costello and Laurel and Hardy. Now the half-dozen of us left from “The Bucket List” group have to decide on our next move…maybe we should go to Boston again and this time actually see a game in Fenway Park. “Yo Bro,” can you help us get tickets this time? Now that the field has been reduced to 64 teams the real Tournament begins with 16 first round games today and another 16 Friday at different sites around the country. For the first time every game will be shown in its entirety on live TV but you’ll have to work a bit to find out just where as the games will air on CBS, TBS, TNT, and truTV. You better check out your channel lineup early so you know what numbers to enter when the games tip off, which they do beginning at 12:15 this afternoon when West Virginia faces Clemson. What’s made the tournament such great theatre over the years is early-round upsets and often the key to winning a bracket pool is picking those upsets. However at the end you will usually find familiar faces battling for the National Championship which was won by Duke last year. The Blue Devils are one of the four regional top seeds, along with Kansas, Pittsburgh and Ohio State and picking those teams, like President Obama did will probably guarantee you a couple in the Final Four the first weekend of April. I could make a case for all of them winning the tournament and in most of my pools I have taken Kansas, although I think they could get beaten by Louisville along the way. Ohio State might get knocked off by Syracuse, Duke has to watch out for Connecticut and Pitt can’t overlook Kansas State. As for teams who might surprise….watch out for Washington, Memphis, Gonzaga and Michigan State. Actually the biggest surprise would me winning a pool…Hampton has a better chance of knocking off Duke. Tomorrow is Saint Patrick’s Day and quite a few Jersey Shore residents will lift a glass and toast the patron saint of Ireland, who died around 460 A.D. Since radio listeners come and go I offer my annual ditty on what being Irish really means and there’s probably more truth than blarney in this. • You think you sing very well and while you don’t know the words you continue to sing anyway. • Much of the food you ate as a child was boiled. • You’re very poetic after a few beers. You are therefore poetic a lot. • You will be punched for no good reason….a lot. • You probably have a sister named Mary, Catherine or Elizabeth…one just might be Mary Catherine Elizabeth. • You’re not nearly as funny as you think but what you lack in talent you make up for in frequency. I probably fall in line with many New Jerseyans in that I applaud his efforts to resolve problems that other Governors have ignored and let get to a point of no return. They are all to blame; Republicans and Democrats for sticking their heads in the sand and hoping problems would go away. In most cases they knew that they were leaving future generations with an empty bag but they also knew it would not be on their watch so the heck with it. Shame of them all for largely contributing to the mess we are in. Back to the Governor who has pretty much said that he’s going to fix the mess that others have left and you are either with him or against him. That to me is the problem because we don’t live in a black and white world and have to accept that there is some gray as well. Christie is bold and brash and convinced that it’s either his way or the highway. However he was still elected to be a leader and part of my problem with him is the best leaders are those who can work with those on the opposite side. It seems on the surface that Christie is not willing to come off his bully pulpit and look to find middle ground with those who he disagrees with, especially the New Jersey Education Association. This war with the teachers union is ugly and has taken the spotlight away from education itself. While I think the NJEA is every bit (if not more) guilty of mishandling this dispute, Christie needs to take a more conciliatory approach. Now is the time for him to lead and make every attempt to solve problems by bargaining…..not bullying. We are all caught up in our own lives but frankly I am amazed at how many people have little reaction and interest to what’s occurred in Japan over the last few days. I find myself glued to the images of what’s happened and wondering what is next for the people in that country. As we learned from the tsunami waves it may be the Far East but its effects were felt in this country as well. school located near Vineland, the Hermits had by far the biggest rooting section of the weekend. They were loyal, loud, enthusiastic and even well-choreographed at times and just as important cooperative and well-behaved. It was nice to see; especially at a time when it appears in many cases school spirit is a thing of the past. The PSA at Toms River North will host Tournament of Champions action this week with the Girls quarterfinals Tuesday, Boys quarters on Wednesday and the Girls semifinals, featuring Neptune on Thursday. Based on the numbers it’s been a good spring training for Toms River’s Jeff Frazier while younger brother Todd has been struggling. However Todd is the one still with a chance of making the major-league roster with the season opens later this month. The 25-year old Reds prospect got a hit in his only at-bat Sunday to raise his batting average to .167 but it would appear he is headed to the minors as Todd is not listed on Cincinnati’s depth chart which is three-deep at every position. Older brother Jeff was hitting well over .400 for the Washington Nationals when he was reassigned to their minor league camp over the weekend. For Jeff it’s simply a matter of too many outfielders ahead of him and at age 27 you wonder if a trade to a team needing some help in the outfield would not be best for him. Jeff had a very good season for the Tigers Triple-A team last season before signing as a free agent with the Nationals. I always loved the day of the St. Patrick’s Day Parade in Seaside Heights which traditionally is held the Saturday before the holiday itself. I fondly recall days spent inside and outside Klee’s Bar & Grill, simply one my favorite places from the time I could have my first legal adult beverage. There were years when our crew would arrive early enough at Klee’s to get a seat and leave well after morning had become afternoon and afternoon had become evening. The mood was always fun and upbeat and next to Christmas it might have been my favorite day of the year. For several years I participated in the parade with others from the radio station. On a totally unrelated note, the Point Boro Girl’s basketball team put forth a tremendous effort last night before losing to the state’s top-ranked team in the Group 2 state semifinals. Malcolm X Shabazz of Newark won the game 65-58 but Coach Dave Drew’s Panthers never quit. Senior Kelsey Haycook finished an outstanding career with 22 points and with most of their players back next season the Boro should be a force to be reckoned with again. Steven Sally scored 18 points and hit the game-winning basket in the final minute to lift Ocean County College past Mass Bay Community College 61-59 in the opening game of the National Junior College Division III Tournament. The win by the surprising Vikings sends them into tonight’s semifinals against Mountain View College of Texas. for the Non-Public “B” title at 6pm. The Friars of legendary coach Bob Hurley pulled off an upset last night before a sell-out crowd of over 8,000 at Rutgers when they defeated St. Patrick of Elizabeth 62-45. Both teams came in undefeated and were ranked 1-2 in the nation but just about everyone expected the Celtics to prevail. The Poland Spring Arena will host eight Boys and Girls championships games on Saturday and Sunday. If ever a team got done it by bad officiating in a college basketball game it was Rutgers yesterday in the second round of the Big East Tournament. St. John’s won the game by two points with the help of 4 calls or non-calls in the final 10 seconds that all went against the Scarlet Knights. Give Rutgers coach Mike Rice credit for the way he handled the press conference afterwards in which he said everyone made mistakes in the game, including himself and his other coaches. Rice really took the high road at a time when others would have put the blame somewhere else. Classy move for a guy who has the Rutgers program pointed in the right direction. Monmouth University is in the process of hiring a new men’s basketball coach and the administration needs to get this one right. To be honest the program has fallen off the map in terms of interest and success with sparse crowds at most games in the new $50 million plus MAC, which seats over 4000. The Hawks need a coach who will get people excited in the shore area as well as the students on campus. There is no reason why Monmouth should not compete regularly for the NEC championship and a spot in the NCAA Tournament. It seems a long time ago when players like Alex Blackwell and Corey Albano helped pack the old Boylan Gym. It sure looks like Saturday will be a great day for the Irish and those who want to be as I predict record crowds for the Ocean County Saint Patrick’s Day Parade in Seaside Heights. The season continues for the Point Boro girl’s basketball team while the championship dreams of the Manchester boys ended in heartbreak Tuesday night. Boro made it back-to-back South Jersey Group 2 titles with a 55-43 win at Sterling as sophomore Kelly Hughes scored 25pts and senior Kelsey Haycook added 17. The 25-4 Panthers will now face the state’s top-ranked team, Malcolm X. Shabazz in the group semifinals Thursday at Deptford. Shabazz rolled over Rumson last night to win the Central Jersey crown and improve to 31-0 on the season. Manchester has sort of flown under the radar during a post-season run that landed them in the South Jersey Group 3 championship game at top-seed Kingsway. For most of the game things looked pretty good for the Hawks as they led by 10 points early in the second half and took a 3-point lead into the final quarter. However the Dragons rallied and two free throws with 20 seconds left gave them a 49-48 victory and their third consecutive sectional title. Nate Nickens had 16 points in the loss for Manchester. The Ocean County College men’s basketball team boards a bus today for Sullivan Community College in New York which is the site of the National Junior College Athletic Association Division III Tournament. The Vikings earned their second-ever trip to the national tournament after winning the Region 19 championship late last month and with a 19-9 record they may be the longest shot in the field of 8 teams from as far away as Texas, Coach Rory Caswell’s team will open the tournament tomorrow afternoon against Mass Bay Community College. The Vikings top players include sophomore Steven Sally of Central Regional and JaMario Clayton of North Carolina. Brick Unico is an Italian-American service organization and among their programs is one in which they give scholarships to local college-bound students through the Brian Piccolo Awards. To help raise money for their scholarship fund the Brick chapter of UNICO National will hold a Texas Hold ‘Em Poker Tournament on Friday, April 8 at VFW Post 8867 on Adamston Road. For more information you can call Phil Terranova at (732) 534-7446. The result wasn’t what they hoped for but Monday was still a pretty good night for the Jackson Memorial boy’s basketball program. Fans came early to the Joe Perry Gym for the Jaguars Central Jersey Group 4 championship game against Rancocas Valley and it’s a good thing they did because before this one even tipped-off it was sold out with quite a few people remaining outside for most of the game. Inside the place was rocking as Jackson bid for its first-ever state sectional title. The Jags had only made it this far once before and that was 1971 when Greg Archer and Ronnie Brown helped them advance to the Central Jersey Group 2 finals where they lost to Lawrence. It took 40 years for them to get back and when Jackson jumped out to a quick 5-0 lead the old gym was deafening with fans in red, black and white envisioning a championship celebration. However that was clearly the highlight of the night as the visitors settled down, scored the next 11 points and ending up rolling to a 61-36 victory which clearly spoiled the party. I left early in the 4th quarter with the outcome all but decided but I don’t think Jaguar fans will have to wait four decades for another shot as head coach Joe Fagan clearly has the program pointed in the right direction. Tonight Manchester will play for the South Jersey Group 3 title when the Hawks visit top-seed Kingsway while on the girl’s side Point Boro shoots for its second straight South Jersey Group 2 championships with a road game against Sterling. Providence College held its 2011 Athletic Hall of Fame Induction ceremony this past weekend and the new class included basketball standout and 1994 graduate Lucie Fontanella of Toms River. Fontanella was a two-time Friars captain and is in the school’s all-time top ten for both scoring and rebounding. A 3-year starter and 1993 Honorable Mention All-America, she later played professionally for a brief period in Portugal and served as an assistant coach for one season at Providence. Fontanella had a tremendous high school career at Toms River East and won the Kerwin Award as the shore’s top female player in 1990. She is also a member of the Toms River School’s Athletic Hall of Fame. Another example of how time flies. Today is the 40th anniversary of the first Joe Frazier-Muhammad Ali fight at Madison Square Garden. I remember staying up and listening to round by round recaps on the all-news radio station which was the only way to follow the fight. For the first time since 2004 Ocean County did not produce a state wrestling champion as the three who advanced into the finals all came up short Sunday before more than 10,000 fans at Boardwalk Hall in Atlantic City. For the second straight year Southern’s Kyle Casaletto was denied a title by High Point’s Nicholas Francavilla with the Ram senior falling 3-0 at 125 pounds and finishing an outstanding career with 120 wins and 3 region and district championships. Toms River South sophomore B.J. Clagon dropped a 4-2 decision to Anthony Perrotti of West Essex at 130 pounds but with two years left he figures to have a good chance to become the Indians first state champ since 1984. Jackson Memorial’s Dallas Winston lost to James Fox of St. Peter’s Prep at 189 pounds but he’ll be back next winter looking to get to the top of the podium. In addition to the three runner-ups, Ocean County had a pair of wrestlers earn 3rd place finishes in 152-pounder Connor Brennan of Brick and Central Regional’s Kalyph Hardy at 160 pounds. While there was some disappointment for the Winston family Sunday with Dallas falling in the finals, older brother Scott gave them reason to celebrate in Jackson. The former three-time Jaguars state champ became the first Rutgers wrestler to win an Eastern Intercollegiate Association championship since 2001 when he claimed the 165-pound title at Bucknell University. The Scarlet Knights placed third in the event behind the nation’s top-ranked team Cornell and runner-up Lehigh. Winston and several of his teammates will take part in the NCAA Championships which begin in Philadelphia on Thursday. Central Regional sophomore Evan Mahoney came up just short in his bid to win an NJSIAA Swimming championship Sunday as he finished 2nd in the 100-yard freestyle at the Meet of Champions. Mahoney also collected a 4th place finish in the 100 breaststroke to cap an outstanding season in the pool. 10th seeded Rancocas Valley travels to #5 Jackson Memorial in tonight’s surprising Central Jersey Group 4 Boys Basketball Championship matchup at 6pm. The Jaguars have beaten shore teams Howell, Brick Memorial and Middletown North to reach the final while Rancocas Valley has victories over Hillsborough, East Brunswick and North Brunswick. The Manchester boys and Point Boro girls will play for sectional titles on Tuesday. Yesterday morning I attended a meeting in the Leonard G. Lomell Meeting Room which is on the first floor of Toms River’s Town Hall. Little did I or the others know that the man who that room is dedicated to had passed away just the day before at age 91. In his professional life “Bud” Lomell was a successful attorney, who started practicing in Toms River in 1957. He was a dedicated family man, married to Charlotte for 65 years and the father of three daughters. He would probably have told you his family was his greatest accomplishment but the reason Bud Lomell has a room named after him and received numerous honors in his life was for what he did as a 24-year old during World War II. Those of you who never met him or shook his hand missed out on an opportunity to be in the company of a real-life hero. I’m not talking about the manufactured heroes we often create today but the kind who leave you in awe. “Bud” Lomell was best known for what he did in the early hours of the D-Day invasion at Pointe du Hoc on the coast of Normandy, France. A staff sergeant and platoon leader with the Army’s 2nd Ranger Battalion, he was shot in the side by a machine-gun bullet before he even reached the shore. However he did not stop as the mission was to find and disable five large German cannons that needed to be taken out to protect the tens of thousands of troops that would land on Omaha Beach and Utah Beach. At first the soldiers could not find the weapons but Lomell formed a patrol which would locate the five guns concealed under camouflage. They were disabled with grenades and the 2nd Battalion became the first unit to accomplish its D-Day Mission. They remained in that location for a few days before being relieved and of the 225 who began the mission only 90 survived. Among the definitions of the word “hero” is a man admired for his achievements and noble qualities and one who shows great courage. 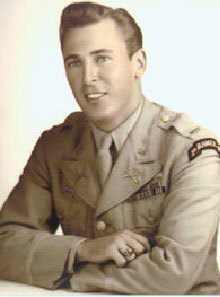 In other words, Leonard “Bud” Lomell…a real hero and one of our own. We all know the economy is not very good and many businesses and companies are struggling. In many cases it’s nothing they are doing wrong but I strongly believe that as a general rule customer service has deteriorated to a point where mediocrity is accepted and excellence is no longer something anyone expects or strives for. I offer the following as examples. I am constantly amazed at how often you go to a drive-thru food establishment and wait far too long at what’s supposed to be a fast-food place. Just yesterday I stopped at one just to get something to drink and it took 9 minutes from the time I placed my order to get a simple drink. Here’s the other part to this equation…I asked for just a little bit of ice and of course knew I would end up with more ice than liquid. When I handed the not-so-smiling teenager my cup back and said I only wanted a little ice he looked at me with disgust as if I had made the mistake. It is rare when you go to a drive-thru and they get your order perfect and also include napkins in the bag they hand you. By the way don’t even bother asking to anything special because there’s little chance it will be the way you want it. Businesses that have lottery machines very often treat these things as gross inconveniences even though they have signs all around so you know they are a lottery agent. Many have poorly trained their employees when it comes to how to use a machine or in some cases have sort of let the employees learn on their own. That means you stand there while they look over the machine, huffing and puffing in protest. Often they give up, shout to another worker in the store or sometimes even tell you that don’t know what to do and ask you to come back later. Worse is when you stand by a machine and they avoid you like the plague, hoping you will go away as they tend to what’s considered real customers…not the bozos who just want a lottery ticket. Finally there are the cases in which you are in a hurry and the clerk feels the need to have a long conversation with the customer in front of you. Sometimes you realize the conversation is a personal one and all you want to do is pay for your two items but are held up while clerk and customer go on and on and on. That’s what I could do here but you get the picture….mediocrity has taken over. As a matter of fact many think that also describes this segment. Happy Birthday to us. Today is WOBM’s 43rd birthday as it was on this day in 1968 that 92.7FM became Ocean County’s first commercial radio station. Ironically that first broadcast saw announcers reading school closings because of a late-winter snowstorm and more than four decades later it’s public service like that which has truly made us Ocean County’s Hometown station. Congratulations to the Ocean County College men’s basketball team who have won their first Region XIX title in ten years and are now headed to the nationals. The Vikings beat Camden County College over the weekend to claim the region championship as Central Regional graduate Steven Sally scored 19 points and was named the tournament’s most valuable player. OCC’S Jamario Clayton was named Region XIX Player of the Year and third-year head coach Rory Caswell was selected Coach of the Year as the 19-9 Vikings now prepare for next week’s NJCAA Division 3 National Tournament at Sullivan Community College in New York. Toms River’s Frazier brothers are hoping to earn spots on the opening day rosters of the Cincinnati Reds and Washington Nationals. Younger brother Todd has played in each of the Reds first two spring games in Arizona, going 1-4 with a double. The 25-year old played third base on Sunday and left field yesterday and if he can hit well in the spring should open the season with Cincinnati. Meanwhile 28-year old Jeff came in as a pinch-hitter for the Nationals yesterday in their first spring game and in two at-bats the leftfielder went 1-2 with a double, RBI and run scored. Both Frazier’s were All-State players at Toms River South who went on to have outstanding careers at Rutgers University. as it would appear the Piners never recovered from their Shore Conference Tournament loss to eventual champion Raritan. On the girl’s side Point Boro began defense of its South Jersey Group 2 title with a rout of Bridgeton as Kelly Hughes scored 21 points and went over the 1,000 point mark for her career and she’s only a sophomore.